Pop up Pamper. 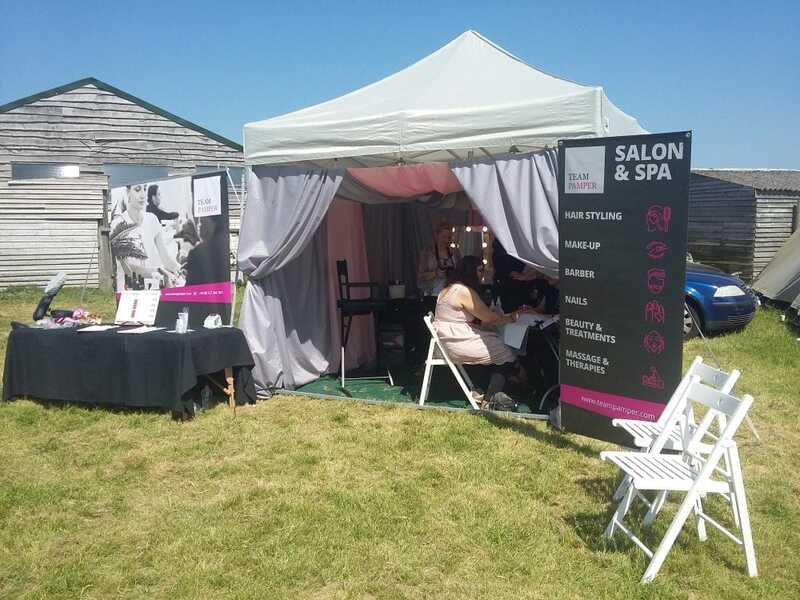 Give your event the wow factor with our mobile spa! 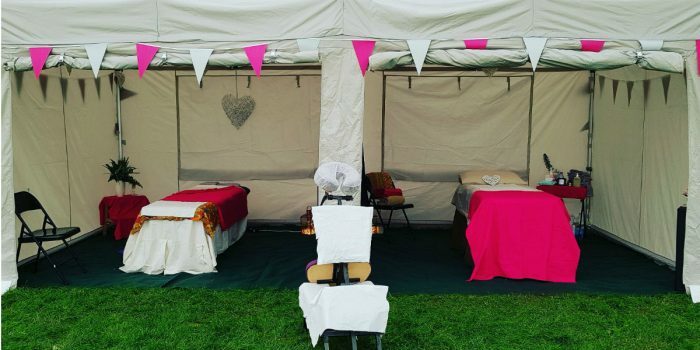 Our Pop up Pamper spa service is the perfect addition to any garden party, wedding or birthday celebration. We will provide a gorgeous space for you and your friends to escape and enjoy some time out at a location of your choice. Our canopy tents are lavishly decorated and will impress your guests and create a buzz of excitement. Book your Pop up Boutique now! Give your occasion a little extra with your very own Pop up Pamper tent. We provide you with indulgent treatments with a touch of bohemian class. Make up – Foundation & base, Brows, Dramatic eye liner, lips & liner or Full makeover. Would you like to book us for half or full day with an all inclusive treatment price? Contact us directly for a personalised quote! Travel & Power costs not included. We provide all that is necessary to create a beautiful space for your guests to enjoy at your event. Our team of therapists will spoil your clients/guests with a choice of our gorgeous treatments and services. Choose the length of your treatments from 10 minutes to 60. If you are looking for a therapist for your work place please see our Office massage page. A range of treatments and products. We can provide 1 – 20 therapists, please call us for a personalised quote today events. Weekend, half day and full day discounted rates available. For larger bespoke events please call us on 01273 447 841 for a personal quote. Petrol costs calculated at 50p per mile to your destination from Brighton or London. Our therapists are highly skilled within their own industries. If you require make up, hair and any other therapies together you will require at least two therapists.